Fishing boats based in the Helford work mainly off the Lizard or work crab and lobster pots in Falmouth Bay. The Helford is famous for its shellfish, particularly oysters which are still fattened by the Duchy Oyster Farm at Port Navas. Also there is a tradition of trigging, when families gather on Good Friday to collect cockles and picnic. This is an important commercial fish with a retail value equivalent to salmon. Recent highly efficient fishing methods have seriously reduced the bass stock around the British coast. 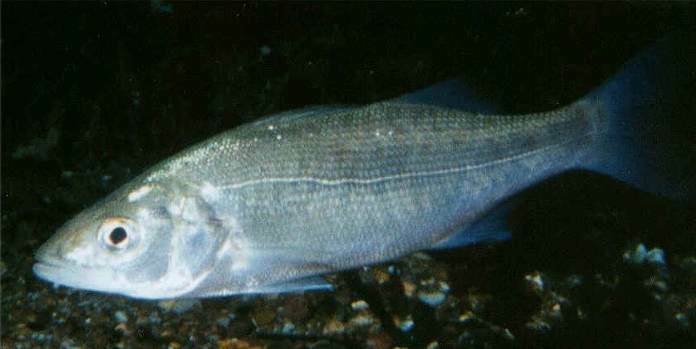 The very young bass come into estuaries for 2+ years to feed where the water is warmer and the food supply good before returning to the sea. These Nursery Areas now receive special protection through restrictions on fishing and volunteers from the HMCG Group have been involved with recording the presence and growth of bass juveniles over a number of years. The collection of oysters for food was seen from the coastal Celtic settlements 3rd Century BC. Phoenician traders and Roman settlers were familiar with oysters from their Mediterranean use and Turkish pirates were reputed to target Cornish oysters! Helford River beds came under private ownership through church lands and royalty. From 1917 to 2005 the Hodges family leased the rights from the Duchy of Cornwall. Native Oyster brood or halfware is brought in from the Fal and Solent under strict conditions to restrict the spread of disease. It is then left to mature on the beds in the River. Fishing is carried out using iron—frame dredges that can collect up to 100 oysters each pull. The work has changed little over the years; it’s hard and much is still done by hand. The collection of Helford oysters starts in August ready for the start of the season which runs from 1 September to mid-May. (mainly months with an ‘R’ in them). Any oysters collected below marketable size are returned to the River to grow on. The remainder, above 50/55 gms in weight, are sorted, graded and rested on the foreshore at Port Navas. Next they are cleansed for at least 42 hours in tanks of cool water which is circulated under ultra violet rays. They are eaten raw, so hygiene precautions are stringently controlled. The official ‘paper trail’ can trace every oyster on sale right back to its source! Helford oysters are usually sent to London restaurants or mainland Europe whilst almost all of those from the Fal go to France. Accidental pollution of the water is an ever-present and serious threat to this long-established industry and everyone who uses the river and its shores needs to be extra careful with fuels, sewage and all chemicals.